This paper publishes the correspondence between S. Germain and C.F. Gauss. The mathematical notes enclosed in her letters are published for the first time. These notes, in which she submitted some of her results, proofs and conjectures to Gauss for his evaluation, were inspired by her study of the Disquisitiones Arithmeticae. 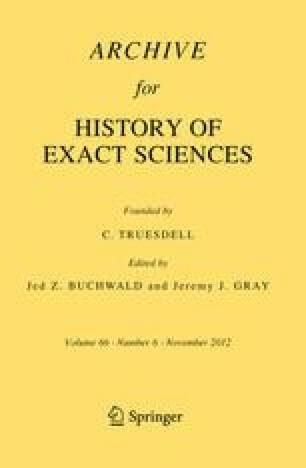 The interpretation of these mathematical notes not only shows how deeply she went into Gauss’s treatise and mastered it long before any other mathematician, but also, more importantly, shows that she obtained interesting results in the theory of power residues that have never previously been attributed to her.